Can you guess how much I love my summer time?? Mmm let’s say it would be a little bit close to infinity and even a little beyond that. But please don’t blame me, who doesn’t love summer. Summer days are refreshing; the sun shining, open skies, and the inviting blue ocean. Since I live by the beach, I can’t help including morning and even midnight swims into my everyday activities. That’s why when the summer season comes, I pamper my skin and my hair a little extra. 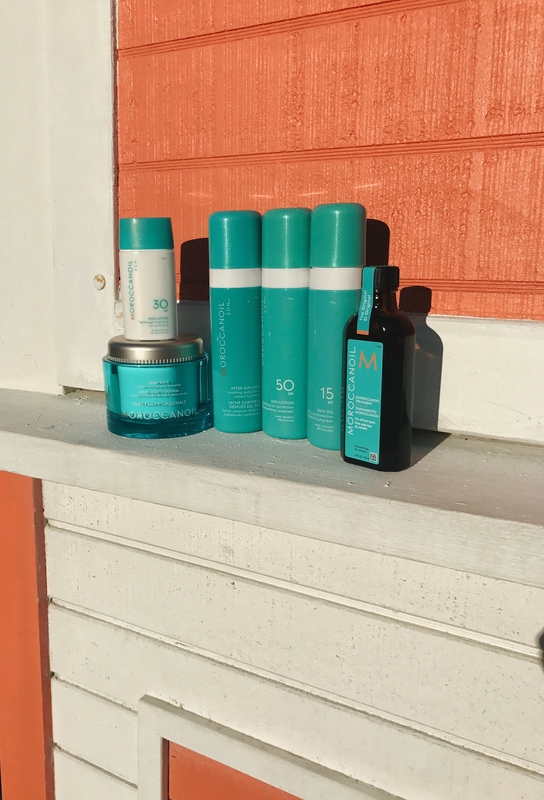 This week I have been trying Moroccanoil products and I am loving them. First, for I am getting so many compliments about how radiant and glowing my skin looks. Second, for my skin feels so nurtured making me feel so gooood. And, it’s great when you love the message behind the brand you are using. And, I love the quality of the products and the message that empower women. Using the Face Lotion SPF 30 as my everyday face moisturizer as the final step of your morning skincare routine before makeup application. 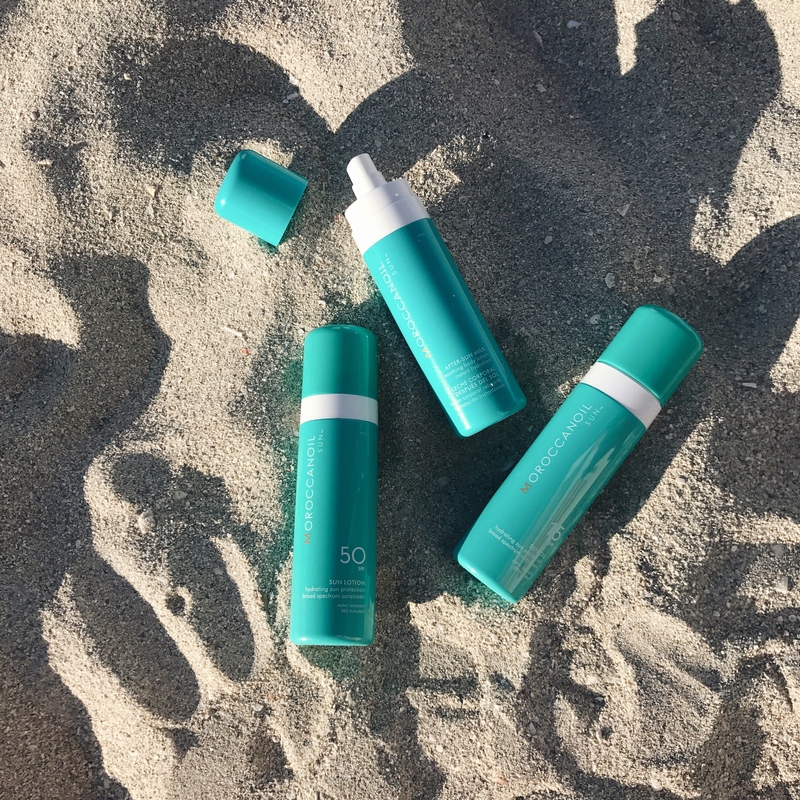 What I love about this product is you can actually also use it as a sunscreen. Before my morning swim I’m using the Sun Lotion SPF 50. It is so smooth, and it has Vitamin E to hydrate and nourish the skin. 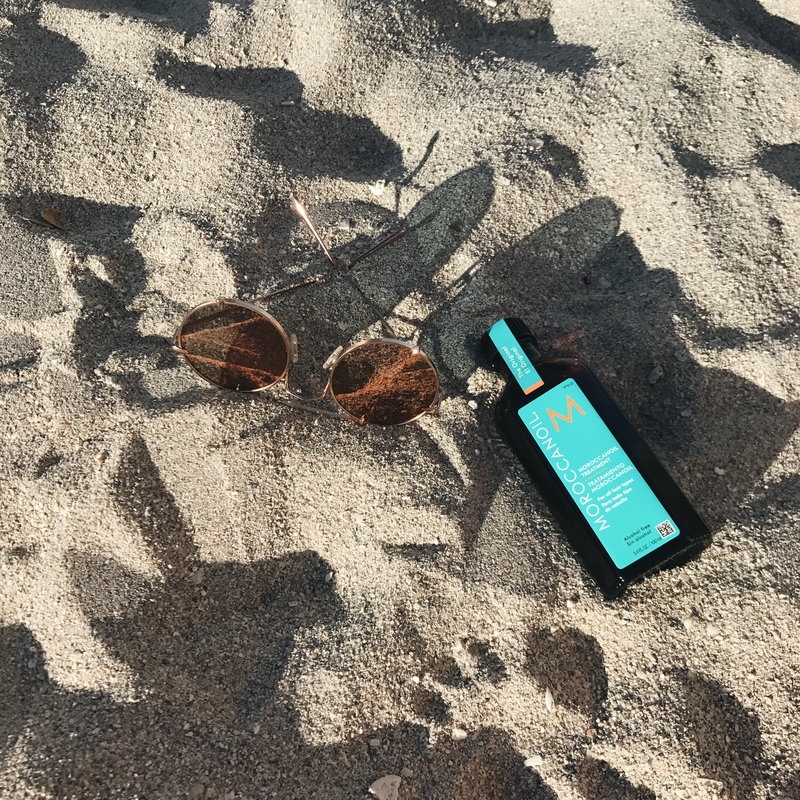 Since I am working on my sun-kissed glow tan, the Sun Oil SPF 15 is never not in my beach bag. Soothing my body with the After Sun Milk is my favorite. The natural cooling aloe is the best and it promises to enhance and extend my sun-kissed glow. Because I love everything Mediterranean, I couldn’t help by not loving the Body Buff. It is scrub inspired by the Mediterranean seaside made with exfoliating sand, apricot and olive seed powers I mean powders 😉 It feels so gentle on my skin while it removes dead skin cells. 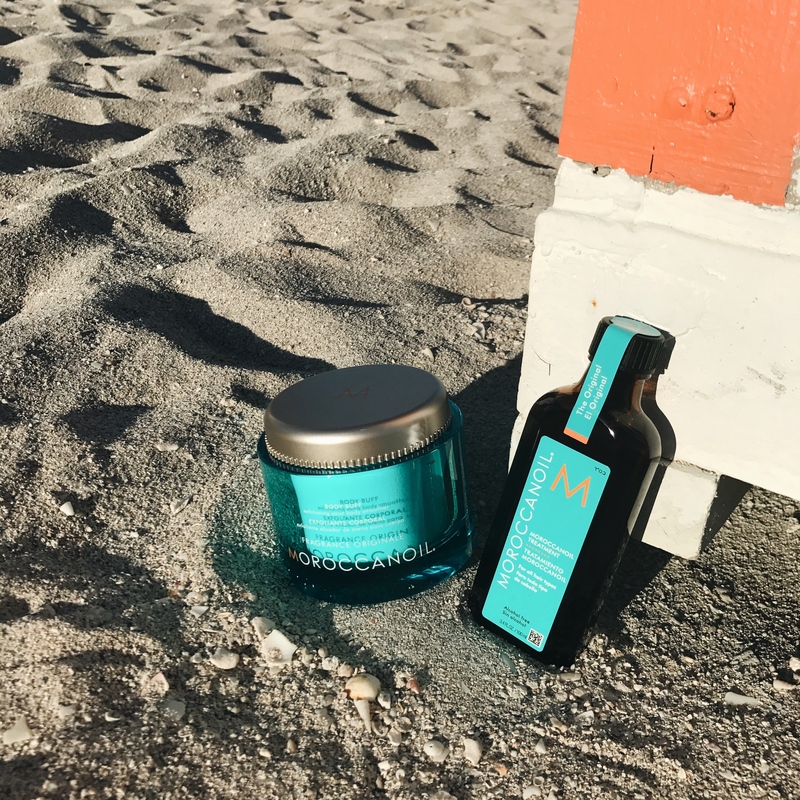 I’ve always wanted to try Moroccanoil, and after reading your post would finally do that. Loved all the photos, thank you for sharing! HeyBeauty 🙂 Beautiful pictures as always. I’ve never heard of this product, but they look impressive and the packaging/color looks appealing too. Have to try this.. I am loyal to my Body Shop Moroccan ARGAN oil for my hair. not so for my skin but it is supposed to be good as well… thank you for sharing this! 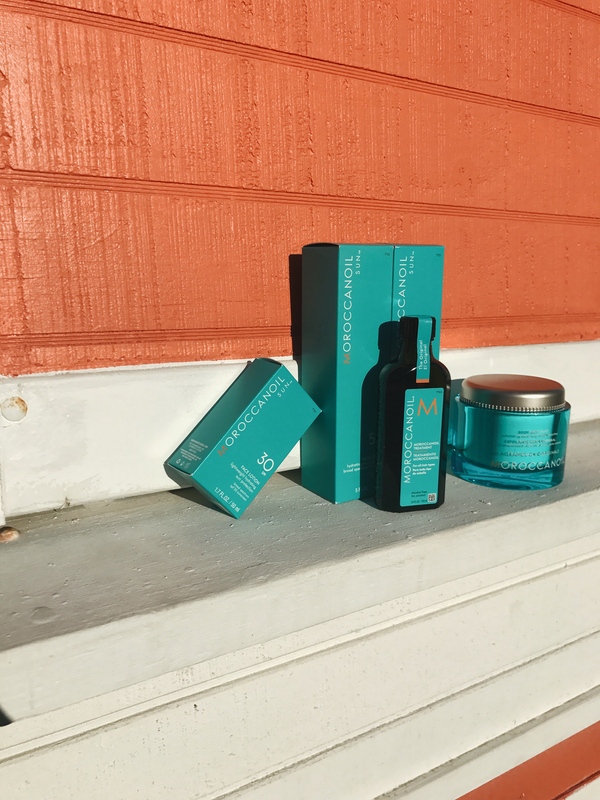 Your skin and hair do look radiant! I am gravitating more and more toward natural products. So, Moroccan oil is right up my alley! There is nothing better than using natural products. Nice post. This looks amazing! The packing looks super chic too! Can’t wait to try it out this summer! This stuff looks so good. I have heard a lot about Moroccan Oil products! Thanks for sharing. I’ve heard so many good reviews on the moroccan oil but never gave it a chance. I’ll definitely need to try out some soon. They have the best hair products! My curls just love them! Sounds like great products. Thanks for sharing. I heard about this and heard so many good thing! Thanks for sharing! Gorgeous as always! Love these photos! Such beautiful photos, Hadasah, and these products look amazing! 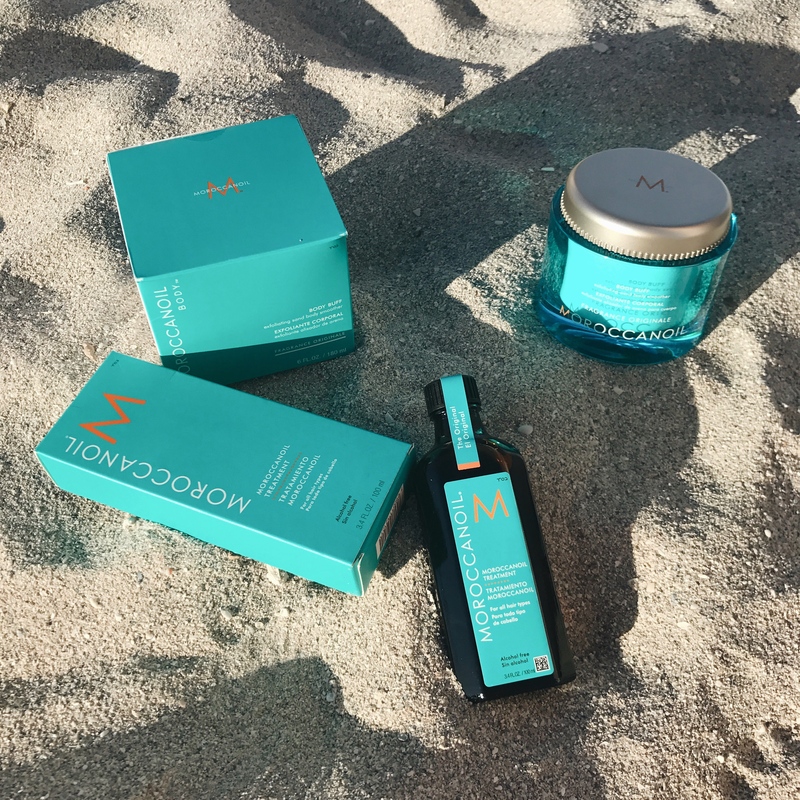 I have used Moroccan Oil products on my hair but have never tried their skincare range! I think the body buff sounds amazing!